Stephen McNeil said Thursday he’d advise fishermen to let the seismic research in the Northumberland Strait take place because it’s a lawful activity. “My hope is that people will allow people to do their jobs. What they (the company) is doing is seismic work …. Then the ongoing public consultation will have to take place as to what will be or wouldn’t be,” the premier said after a cabinet meeting. However, he also said it’s up the Northern Pulp mill near Pictou, N.S., to decide whether to call in the RCMP to end the blockade. 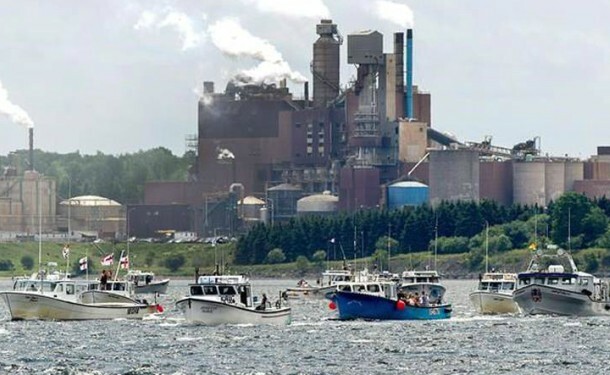 The Liberal government has vowed that after half a century of toxic waste — with 70 million litres of treated waste daily still flowing lagoons on the edge of the Pictou Landing First Nation reserve — Northern Pulp must find an alternative. As the weeks slip by, McNeil said it’s up to the company and the community to figure out a way forward. “The timeline is tight there’s no question. … It’s up to the company. The company knew the deadline. The community knows the deadline,” said the premier. Tory leader Tim Houston, who is one of the three members of the legislature for the area, said that wasn’t true. “The blockade is a byproduct of the government’s failure to say it’s going to properly scrutinize the project. Fishers are worried,” he said. Noel said there are no plans to change course based on the premier’s comments, as the strait’s ecosystem is at stake. “He (Stephen McNeil) hasn’t had any conversation with us, so no, we have no thoughts to stop anyway until we have some conversation with the government anyway,” he said. This entry was posted in Protests and Resistance and tagged Blockade, Northern Pulp mill, Nova Scotia, Pictou Landing First Nation, Pipeline. Bookmark the permalink.